Instagram is one of the largest and most popular social networks that continuously has to change and adapt to keep users interested. Gone are the days when Instagram was just a simple little app for sharing photos with vintage filters. Today, the app has all sorts of hidden features that aren't so obvious to discover through casual use of the app. Are you taking advantage of these features? Find out by having a look through the list below. Let's face it—we all know that trolls love Instagram. Just take a look at any post from a user with over 10,000 followers and you're almost guaranteed to stumble across at least one very mean comment. Instagram now allows users to hide inappropriate comments by filtering out certain customizable keywords. To use this feature, simply navigate to your user settings from your profile, scroll down through your options and tap Comment Controls under the Settings section to block comments from specific users, hide offensive comments and manually create filters for specific words or phrases. The introduction of Stories was quite the gusty move for Instagram, and like Snapchat, they're meant to be over in a few seconds. If you turn your head for a second or zone out while watching a story, you could miss out on the content. Lucky for you, there are a few better solutions to re-watching a story all over again. To pause a story, just tap and hold. To rewind a story, tap the top left of the screen (beneath the user's profile photo and username). To fast forward through a user's multiple stories, just tap the screen. And to skip an entire user's stories, swipe left. The thing about Instagram is that it's too easy and enticing to follow hundreds (possibly even thousands) of users, making it difficult to find the stories that are worth watching. But if you don't want to unfollow the users whose stories you're not interested, what can you do? Instagram allows you to mute any user's stories you're not interested in viewing so they won't show up in your stories feed. Just tap and hold any user's little profile photo bubble in the stories feed and select the mute option from the menu that pops up at the bottom of the screen. This simply fades their bubble and pushes it to the very end of the feed, which you can navigate to and unmute any time you want. By default, Instagram allows all of your followers to send message replies to your stories. If you have a very popular account and aren't interested in being bombarded by a flood of messages from a bunch of complete strangers, you can change this setting. Access your user settings from your profile and select Story Settings under the Account section. Here, you can set your message replies up so that only followers you follow back can reply. Alternatively, you can turn them off completely. While you're in your Story Settings, you might as well think about any users that you don't want to be able to see your stories. If your Instagram account is public, anyone can see your stories if they navigate to your profile and tap your profile photo—even if they don't follow you. Likewise, there may even be certain followers who you don't mind following you for your regular posts but would rather not allow them to see your stories. Use your Story Settings to enter in the usernames of users you want to hide your stories from. You can also hide your stories from any user when you're on their profile by tapping the three dots in the top right corner of their profile and then selecting the Hide Your Story option from the menu that pops up from the bottom. Boomerang and Layout are two of Instagram's other apps that you can download for free and use to enhance your photo posts. Boomerang lets you create a GIF-like post with short, subtle movements (but no sound) while Layout lets you combine several photos as a collage into one post. If you have these apps downloaded on your device already, you can access them right from within Instagram. When you tap the camera tab in Instagram to upload a new photo or video from your library, look for the little Boomerang icon (resembling an infinity sign) and the Layout icon ( resembling a collage) in the lower right corner of the post viewer, which will take you straight to either one of those apps if you tap them. Instagram currently has lots of different filters to choose from. Many users tend to favor just a couple, and it can be a pain to have to scroll through the filters to find your favorite one when you're in a rush to post something. You can sort your filters so that the ones you use the most are right there at the beginning of the filter selection for you. Just scroll to the very end of the filter menu and tap the Manage box that appears at the end. You can hide certain filters altogether by unchecking them, or you can drag and drop the ones you like best to the top. Whether you follow too many users and don't always make it all the way through your feed or you always want to be among the first users to see a specific user's post as soon as possible, you can set yourself up to receive notifications every time they post to avoid missing anything. To turn on post notifications, tap the three dots that appear in the upper right corner of any user's post or on their profile and select Turn On Post Notifications. You can turn them back off any time you want. When it comes to letting your friends know about another user's post that you want them to see, the general trend has been to tag them in a comment. The friend receives a notification that they've been tagged in a post so that they can check it out. The problem with this trend is that friends who receive lots of likes and comments and follows may not see that you tagged them in a post you want them to see. A better way to share someone else's post with them is by direct messaging them with it, which is easy to do by tapping the arrow button beneath any post and selecting the friend or friends you want to send it to. Like Facebook Pages, Instagram now has profiles for businesses that have the intention to market to their audience and engage with them. 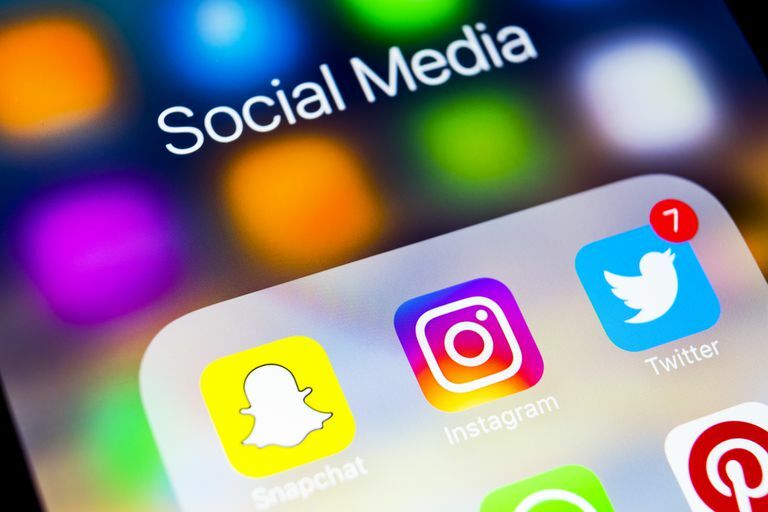 If you already use a regular Instagram profile to market your business or organization, you don't have to create a whole new account—you can immediately change it into a business account. Access your user settings from your profile and tap Switch to Business Profile under the Account section. You can only do this if your profile is public. A business account puts a contact button at the top of your profile and gives you access to analytics so that you can see exactly how your Instagram marketing is paying off. One of the main interactive features of Instagram is, of course, the heart button. Tap that heart (or double tap on the post) to let the poster know you liked it. But what if you want to return to a certain post later that you previously liked and can't remember where to find it? Unlike other social networks that have clear sections located on user profiles where a feed of liked posts can be viewed, Instagram doesn't have this. You can, however, access them if you know how. Find out here how to see previously liked posts on Instagram. Instagram is primarily used on mobile devices, and sometimes, those small screens really don't do some photos and videos justice. It was only recent that Instagram decided to introduce a zoom feature for those posts we want to get a closer look at. Just pinch your index finger and thumb on the area of the post you want to zoom in on and widen them apart on the screen. You can also do this to zoom in on Boomerang posts and on videos. What's the Difference Between Instagram Stories and Snapchat Stories? Does Instagram Send Notifications for Screenshots?